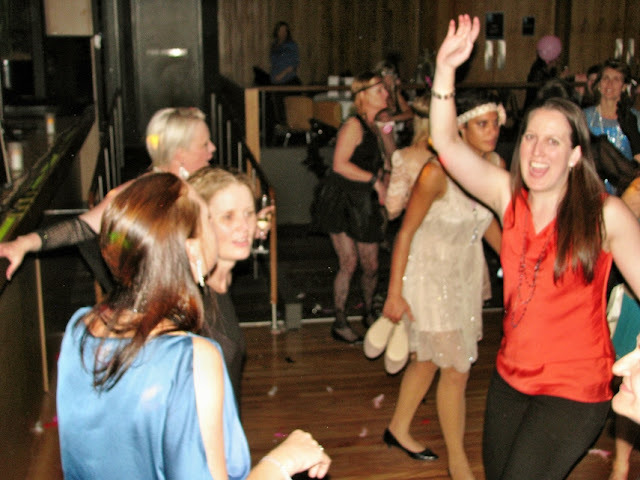 DJ:Plus! 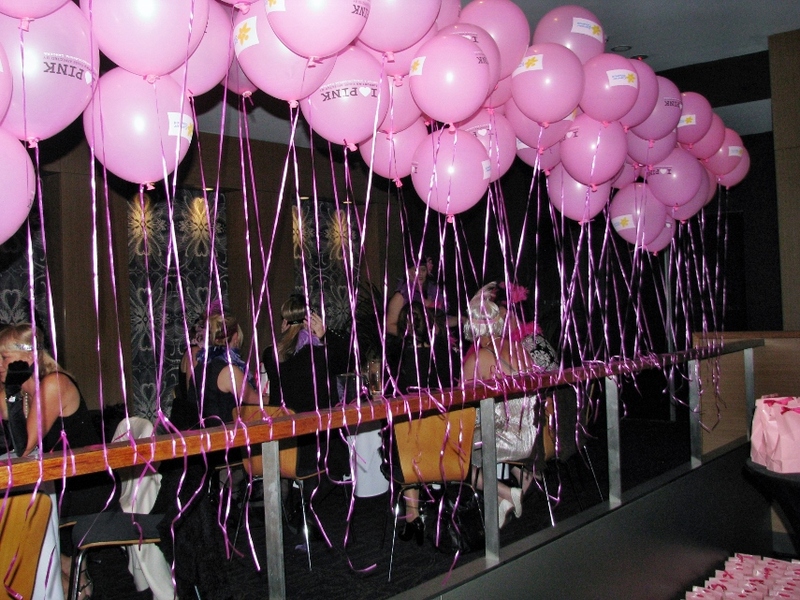 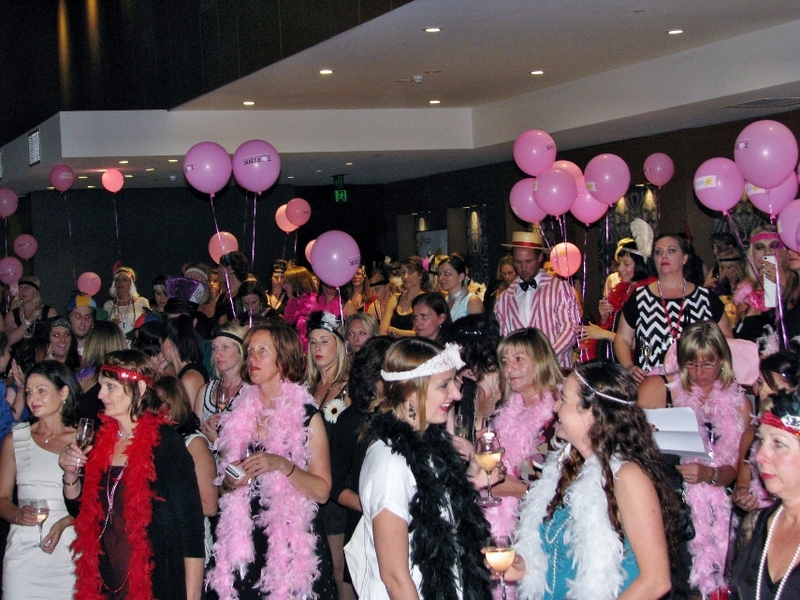 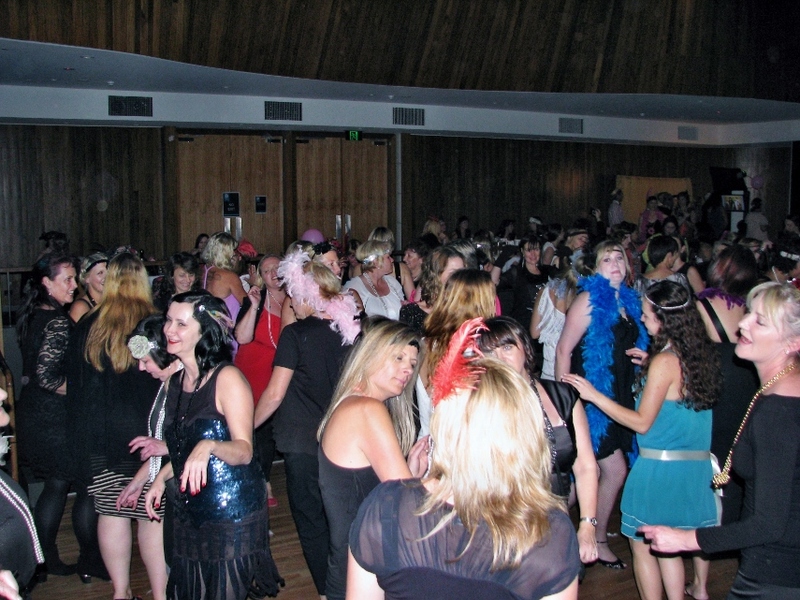 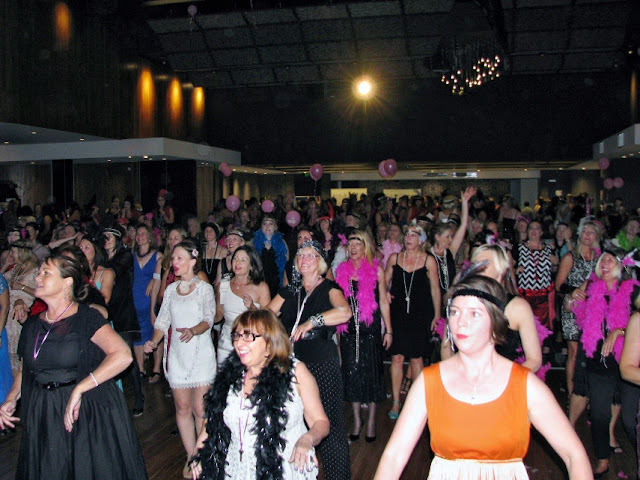 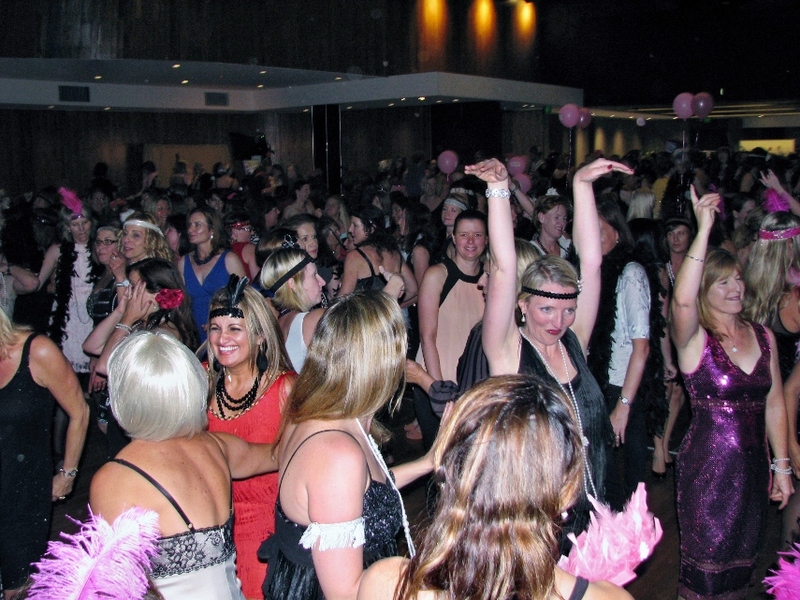 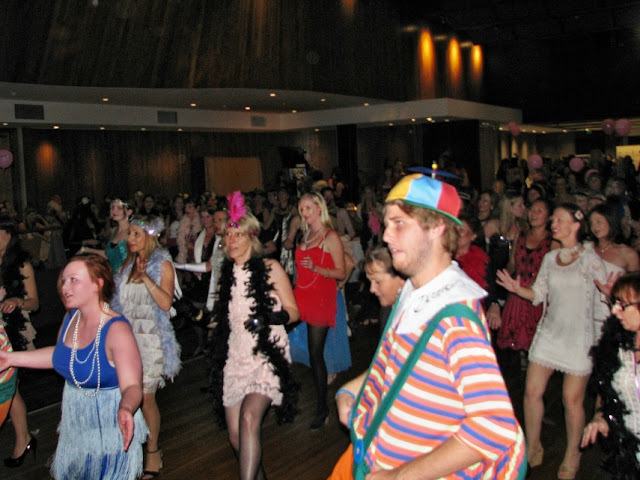 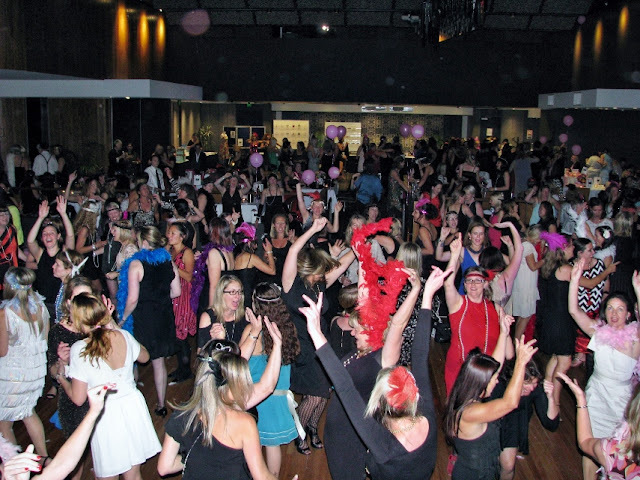 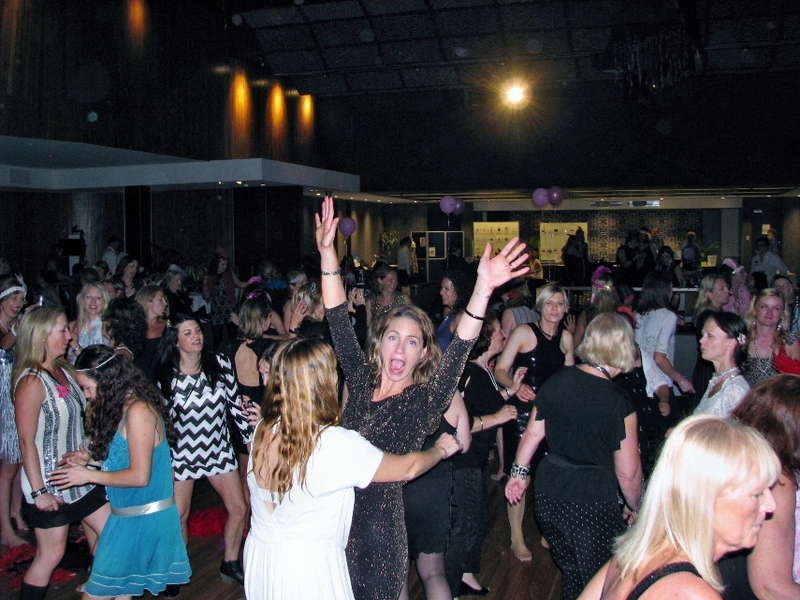 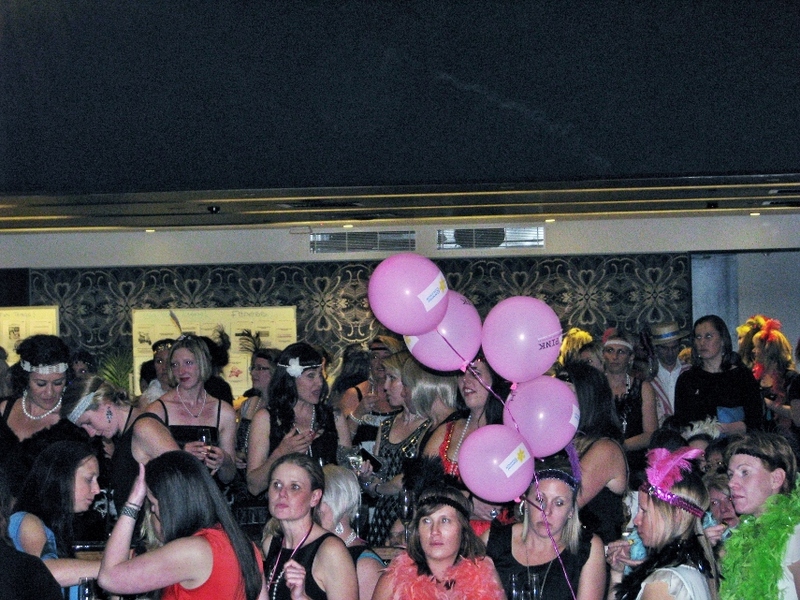 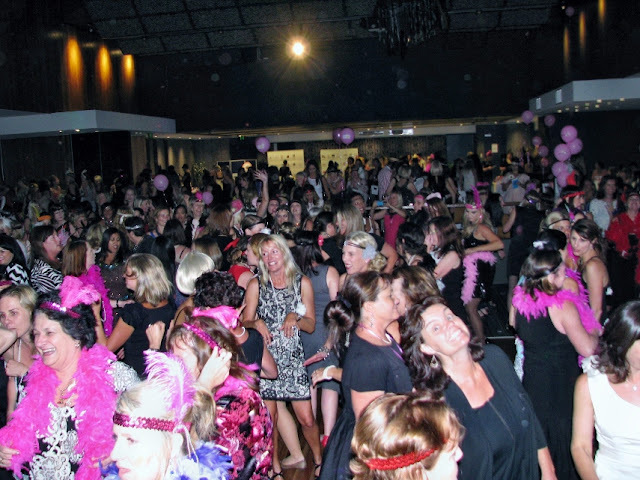 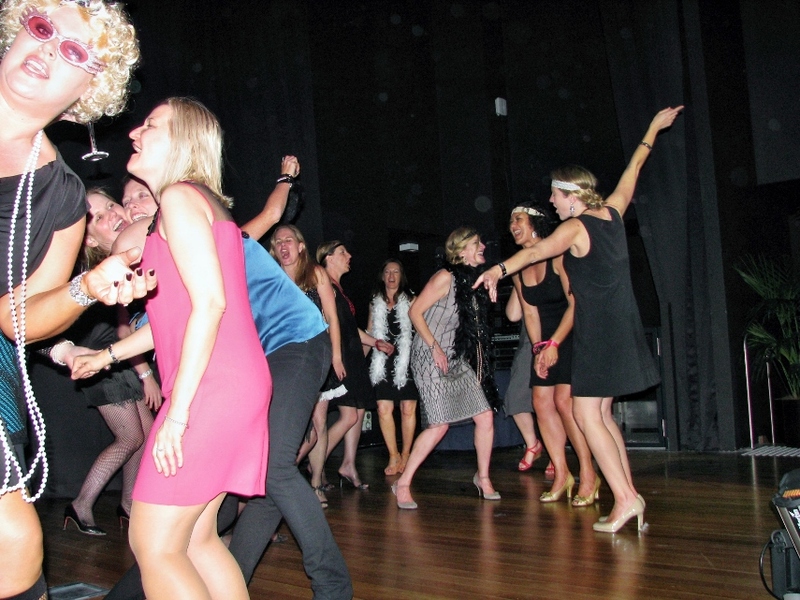 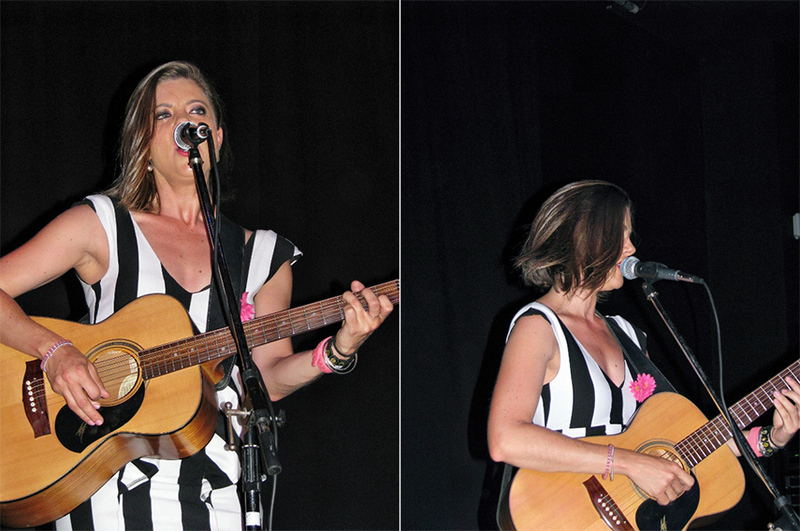 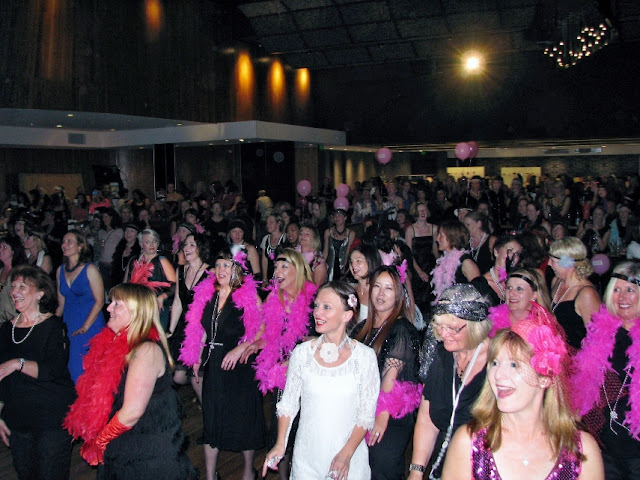 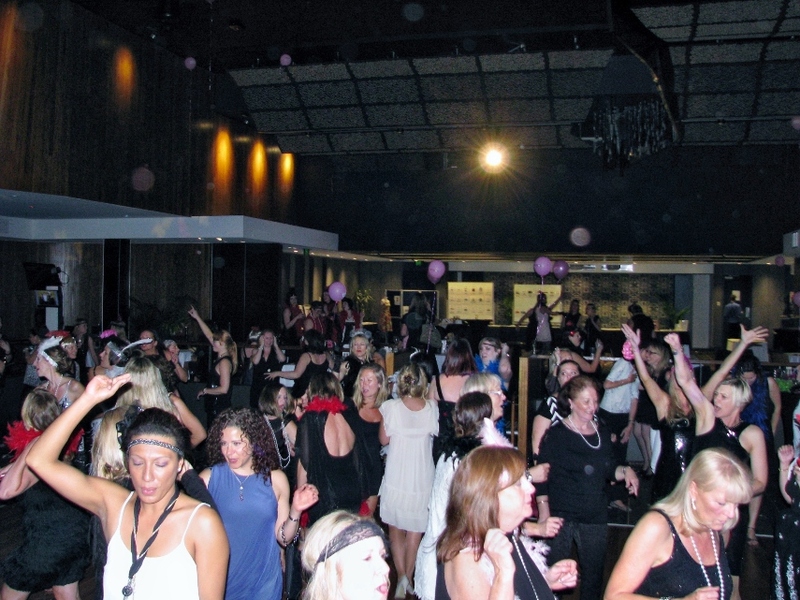 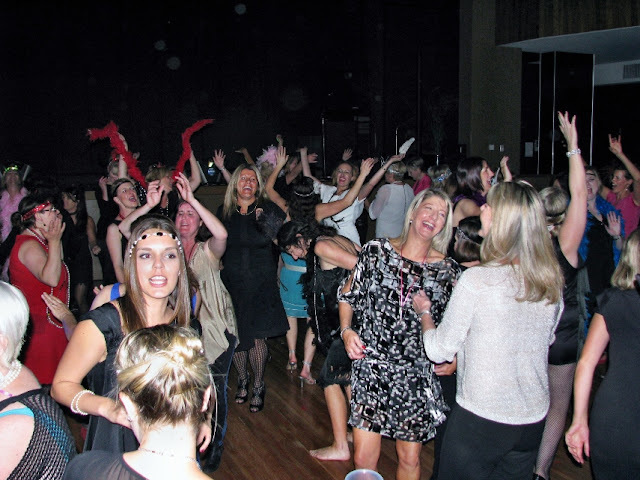 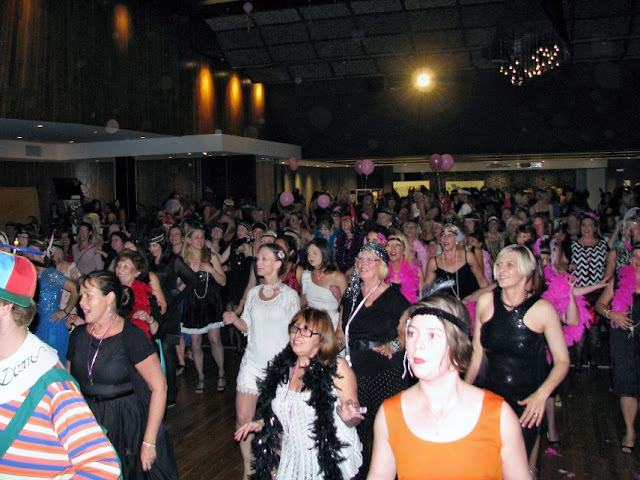 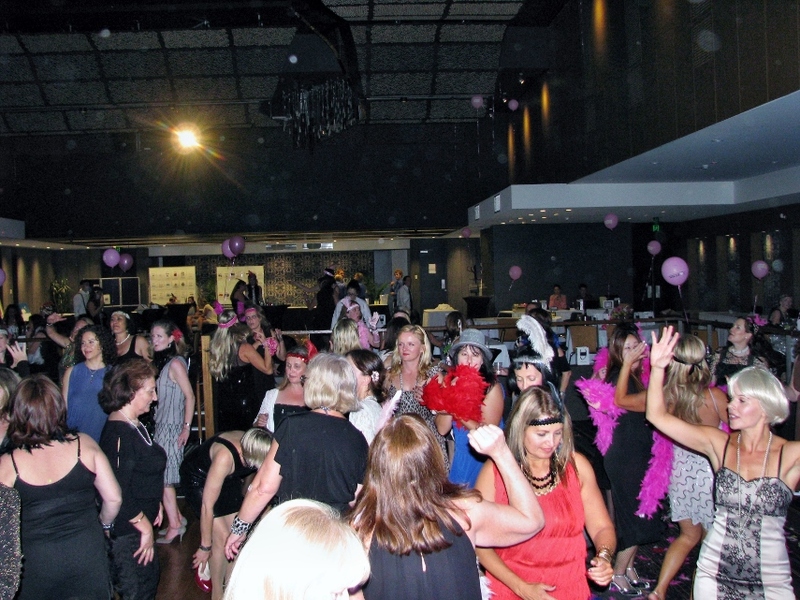 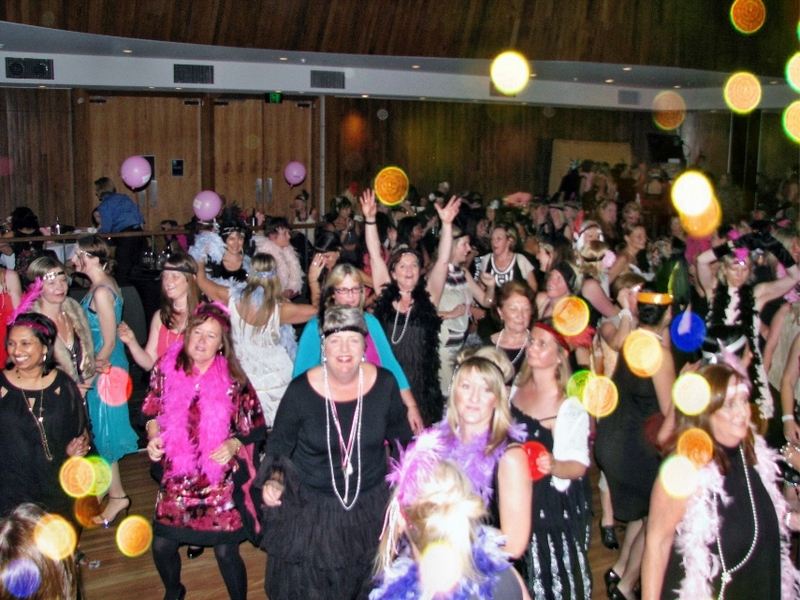 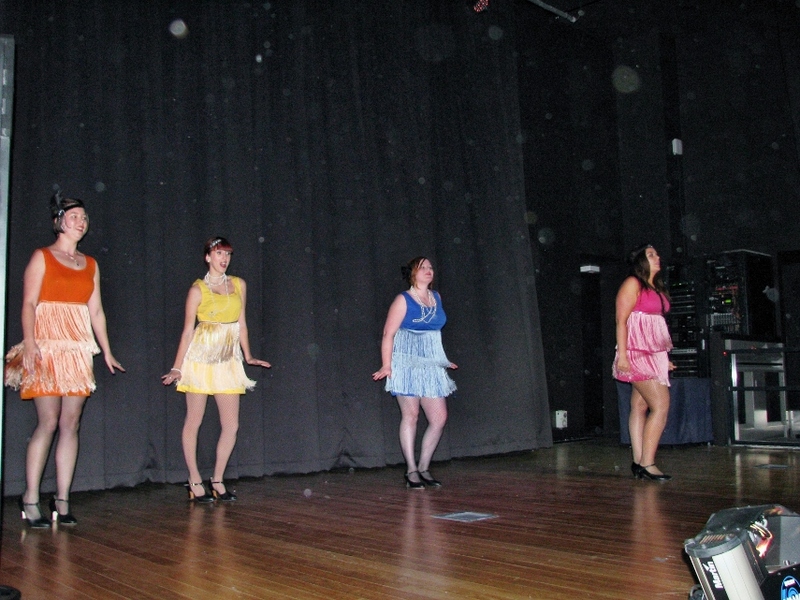 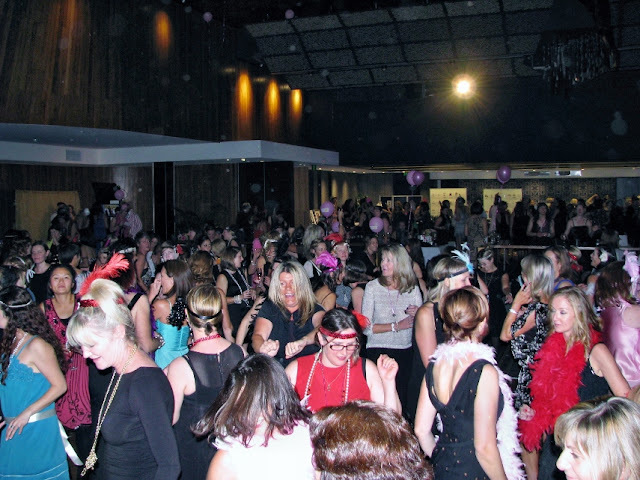 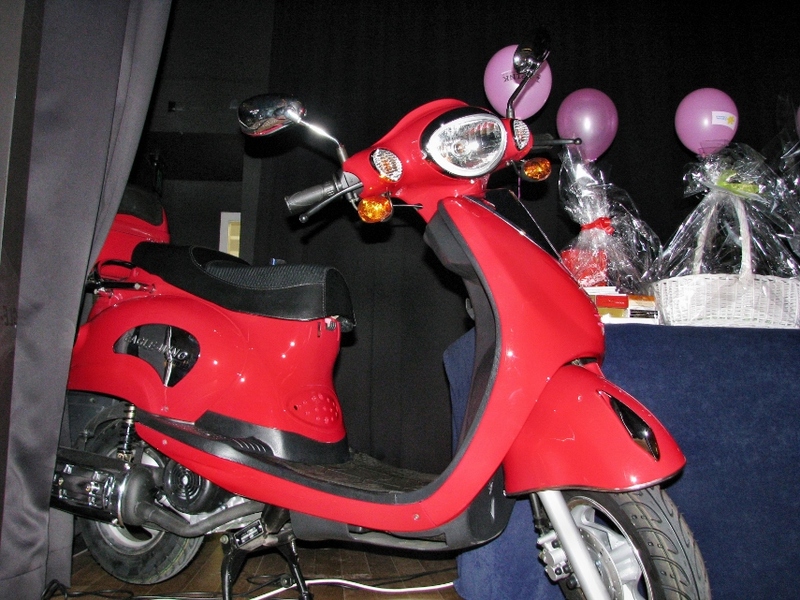 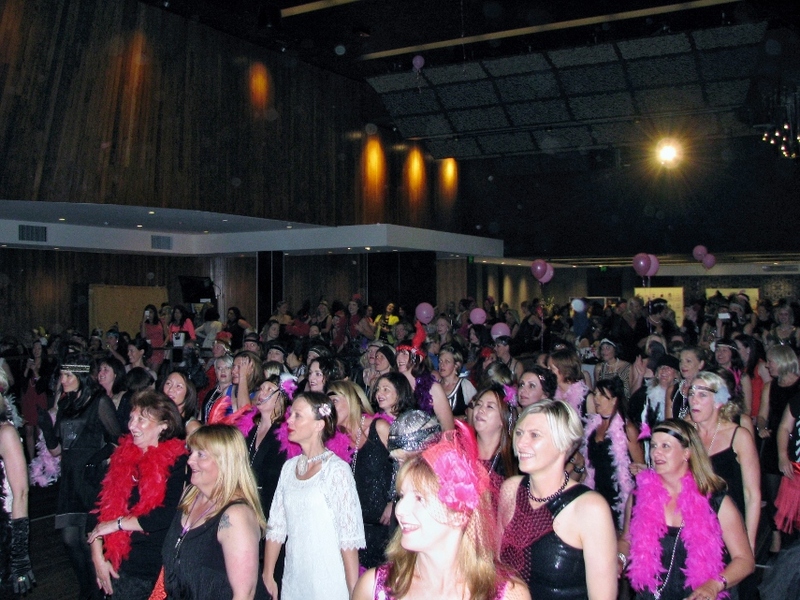 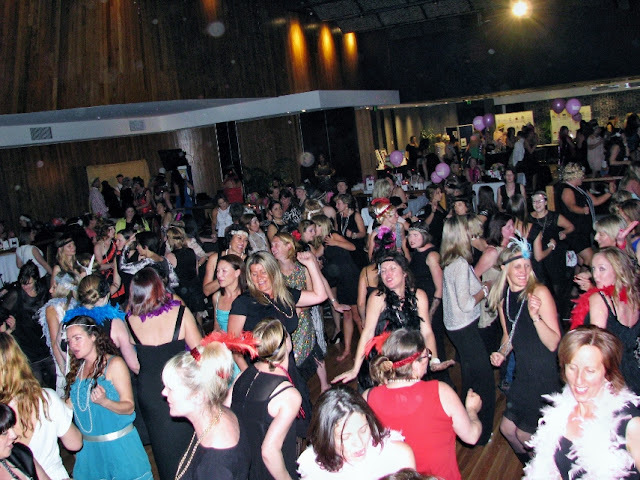 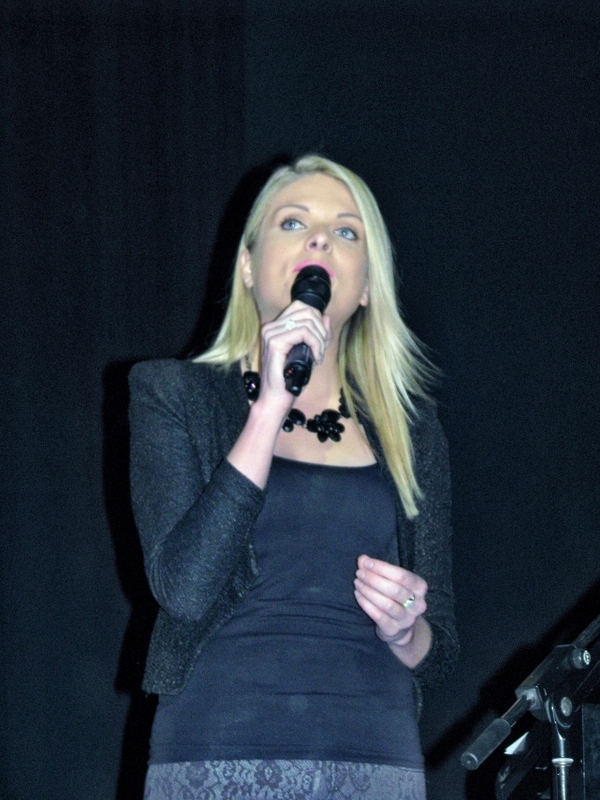 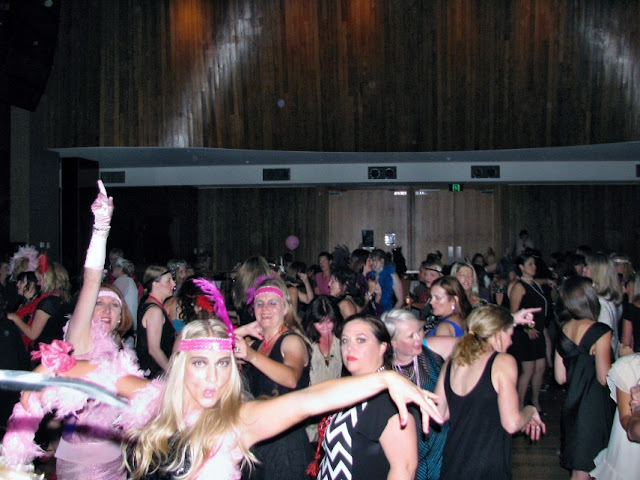 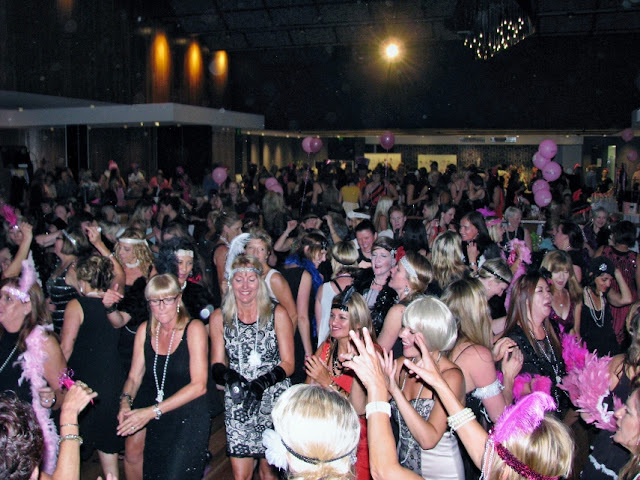 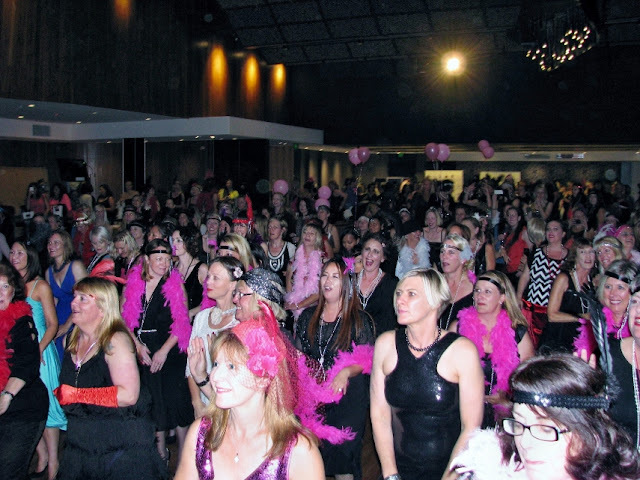 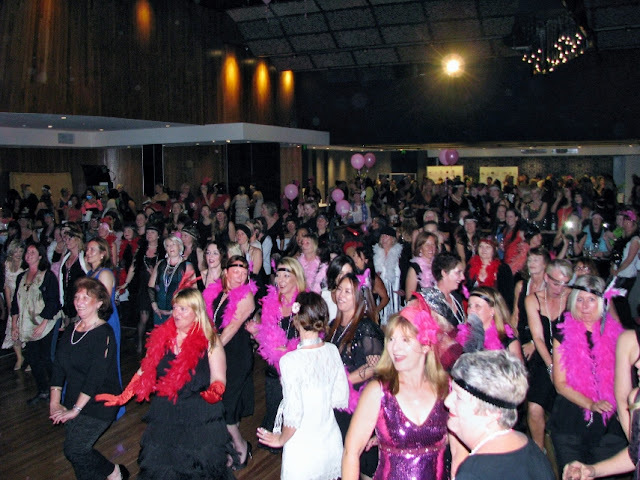 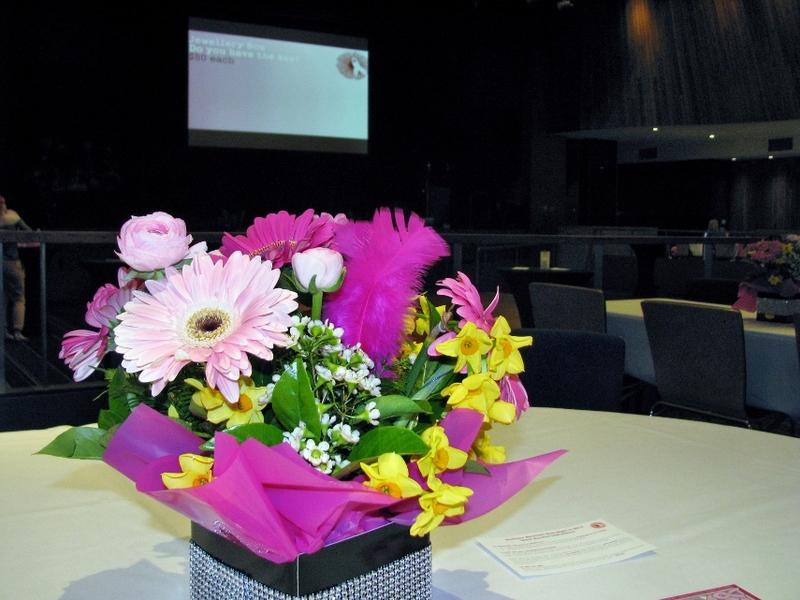 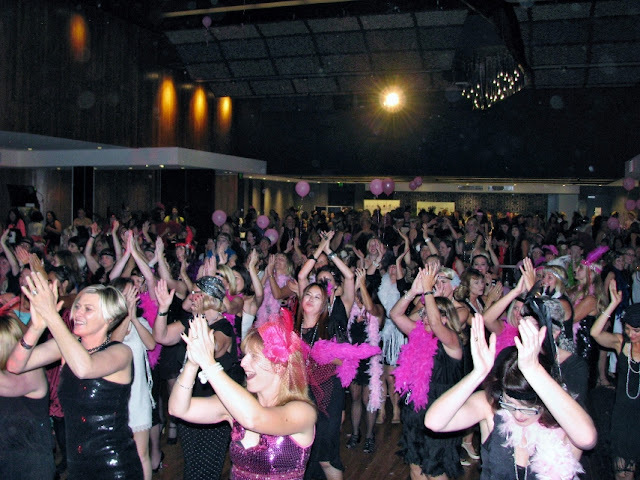 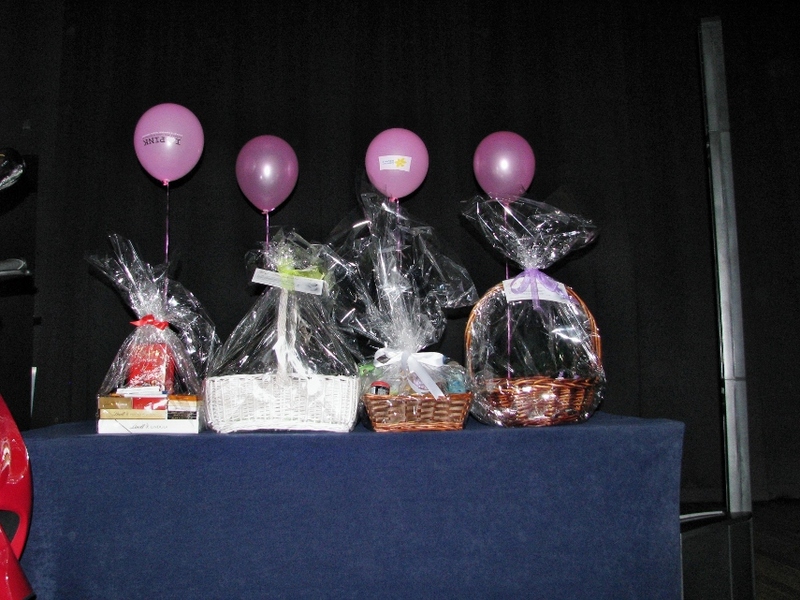 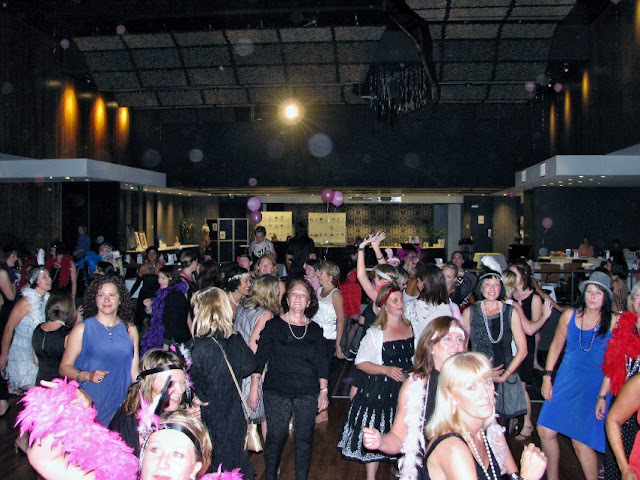 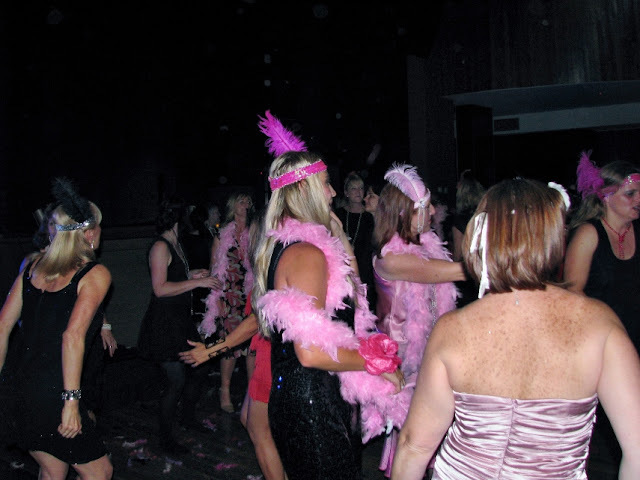 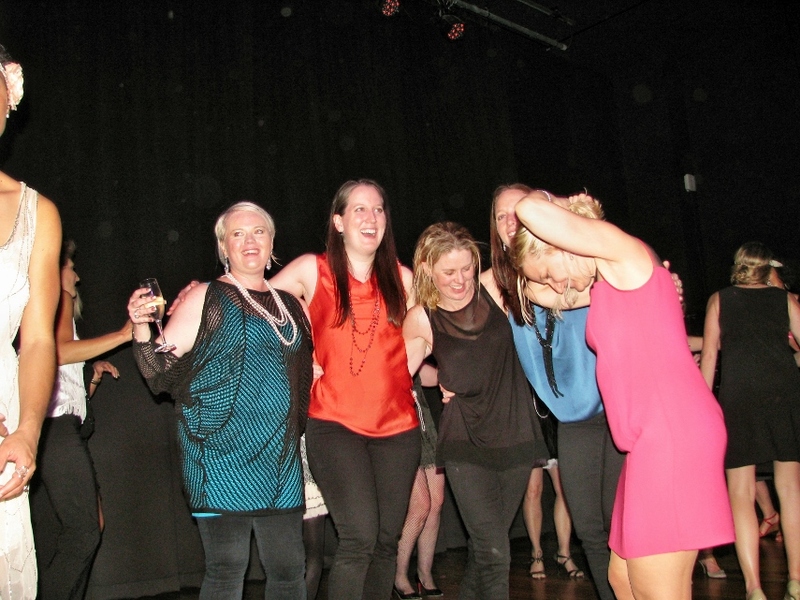 Entertainment is extremely proud to have supported the Northern Beaches Girls Night In for the third consecutive year. 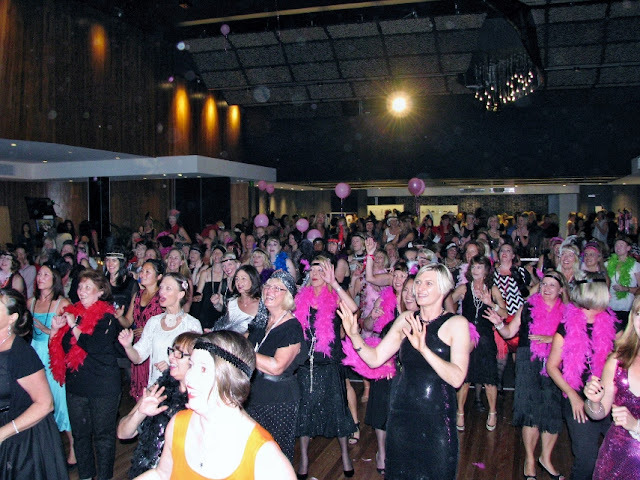 For those that are not aware this is a fund raising initiative to assist the Cancer Council with women's cancer research, prevention, support programs and those affected by Cancer in general. 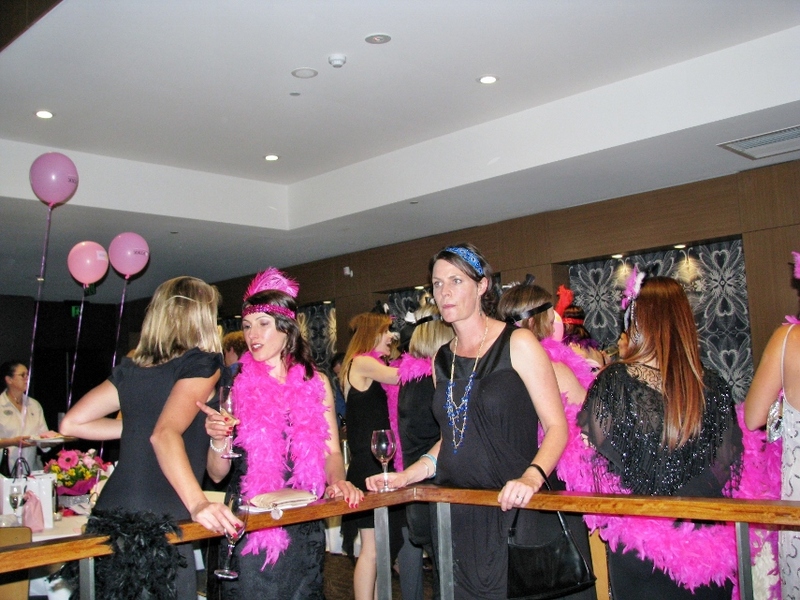 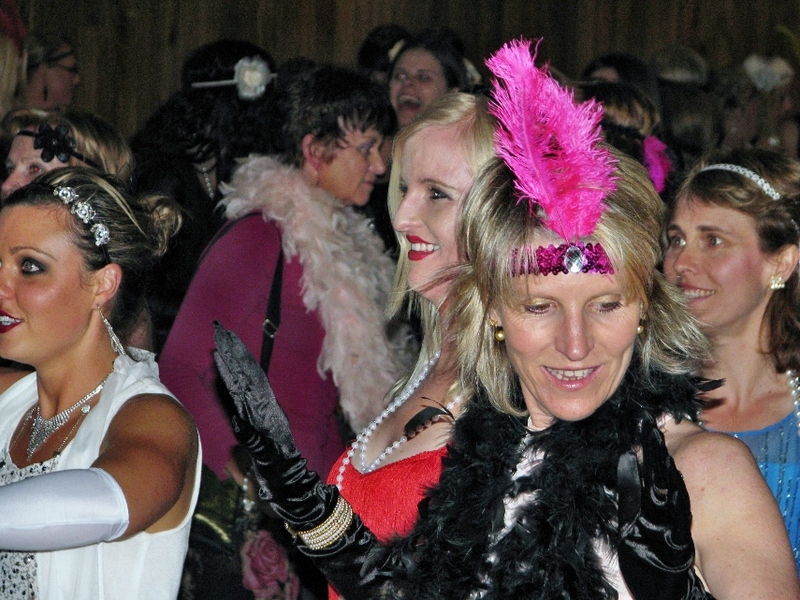 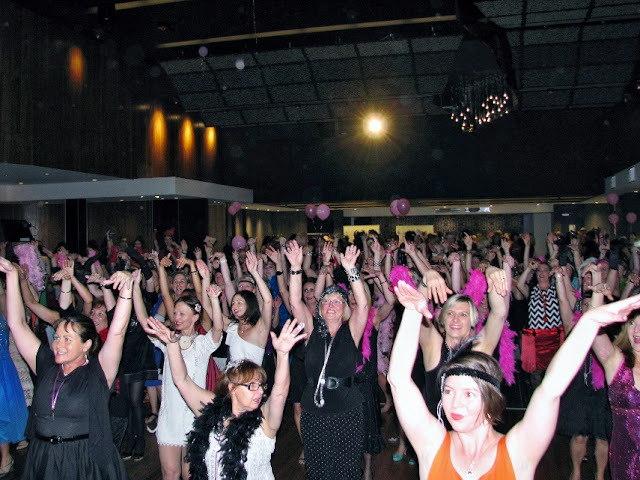 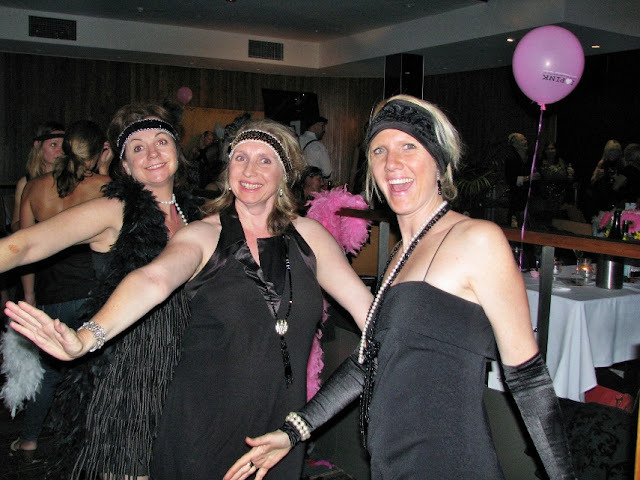 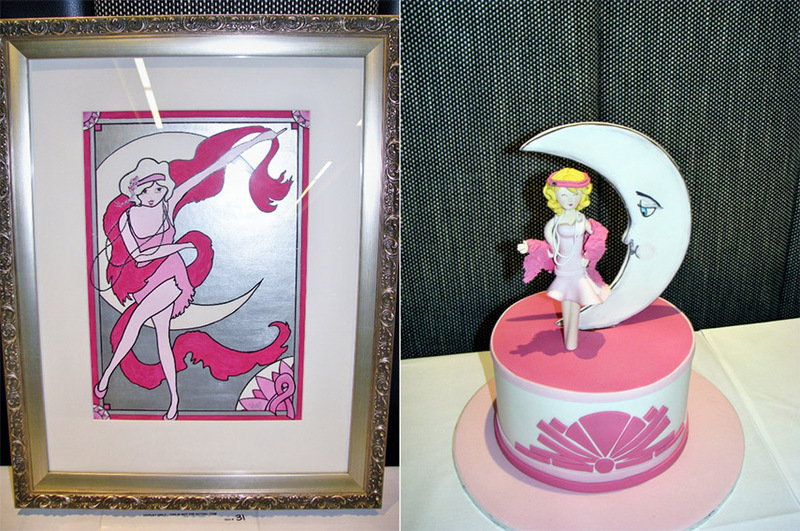 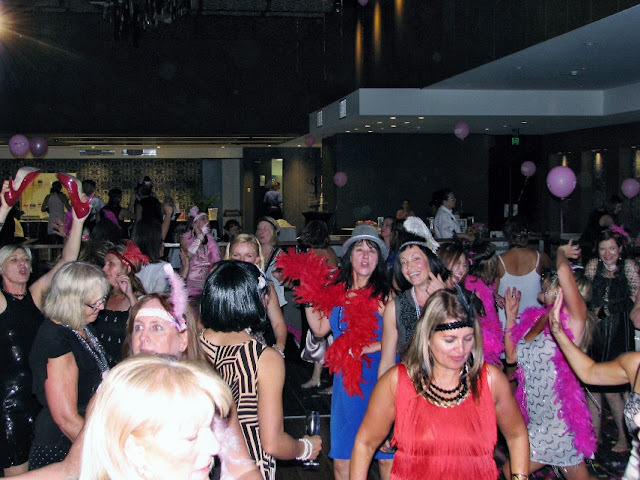 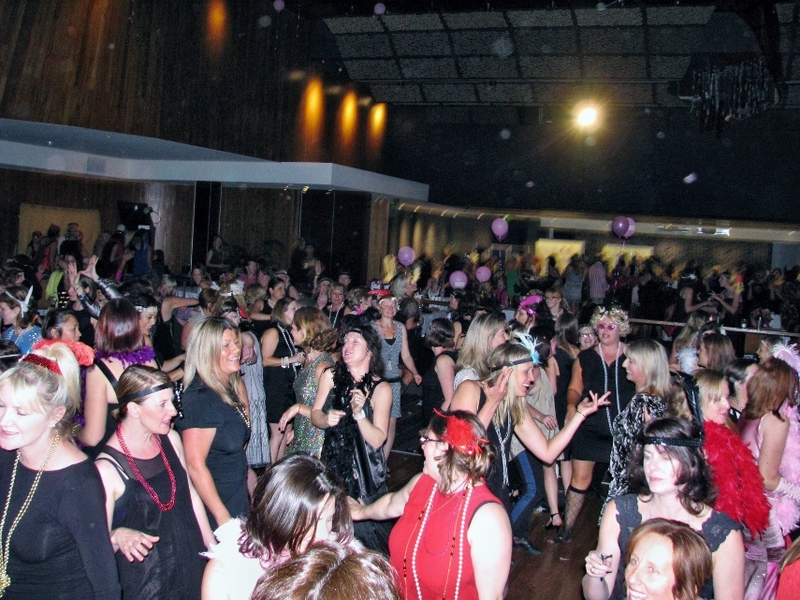 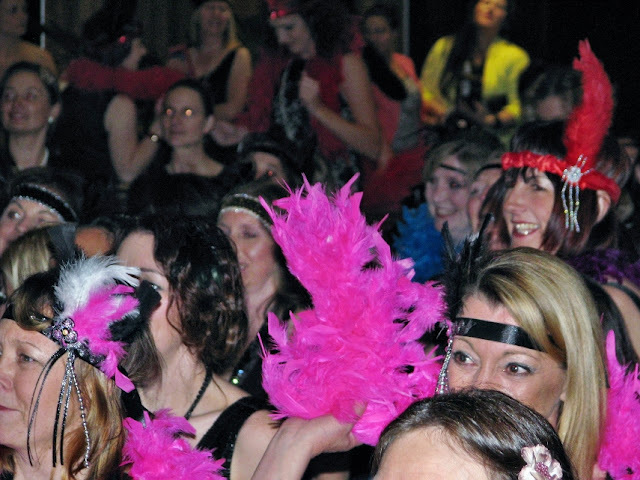 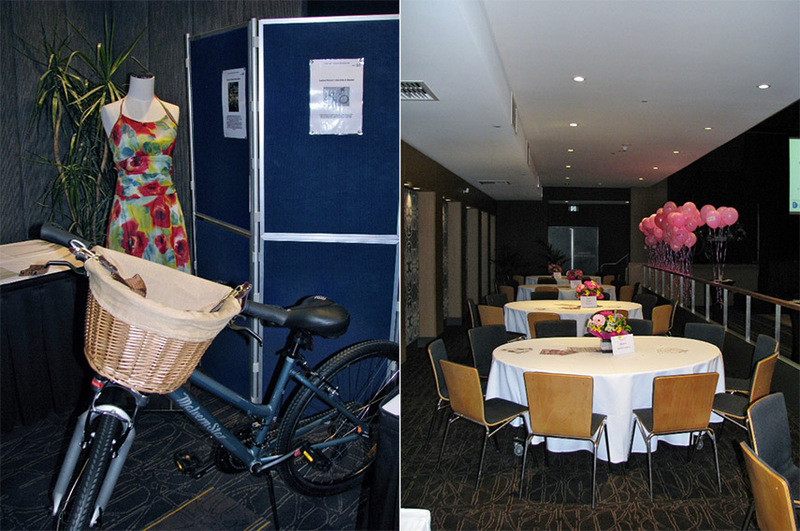 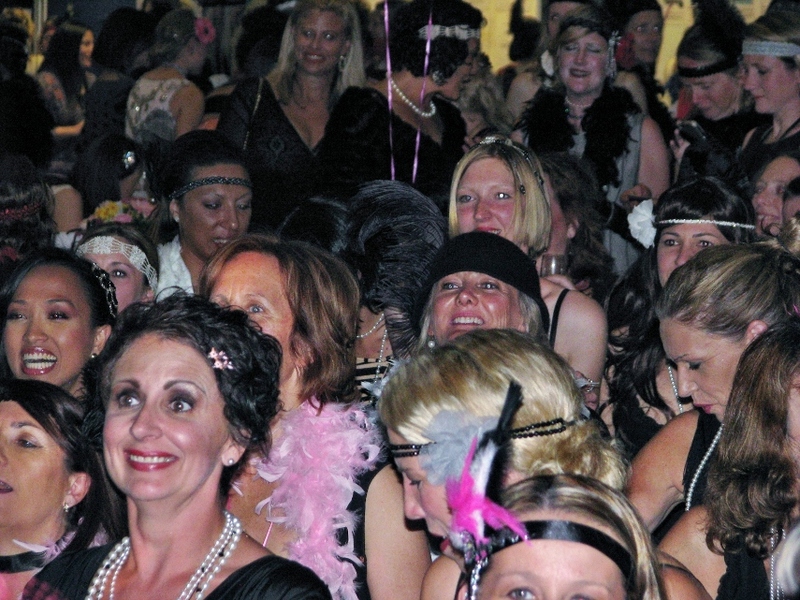 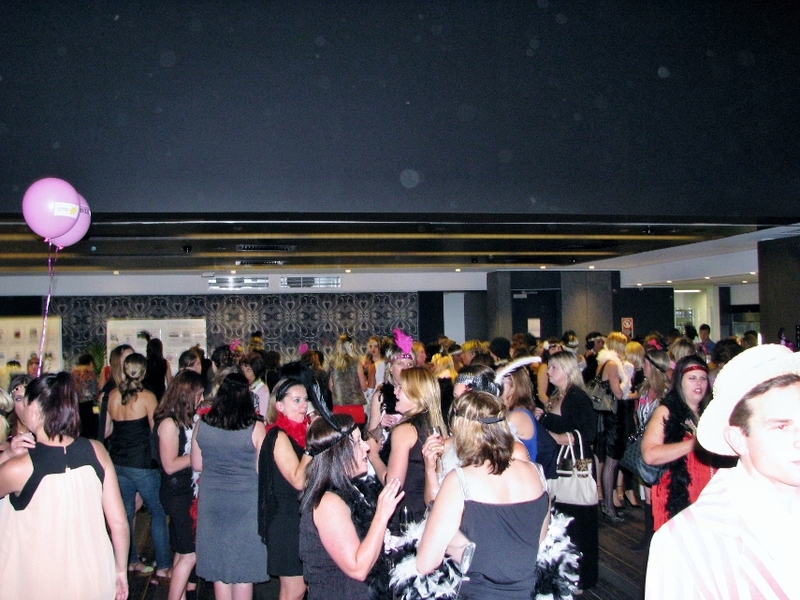 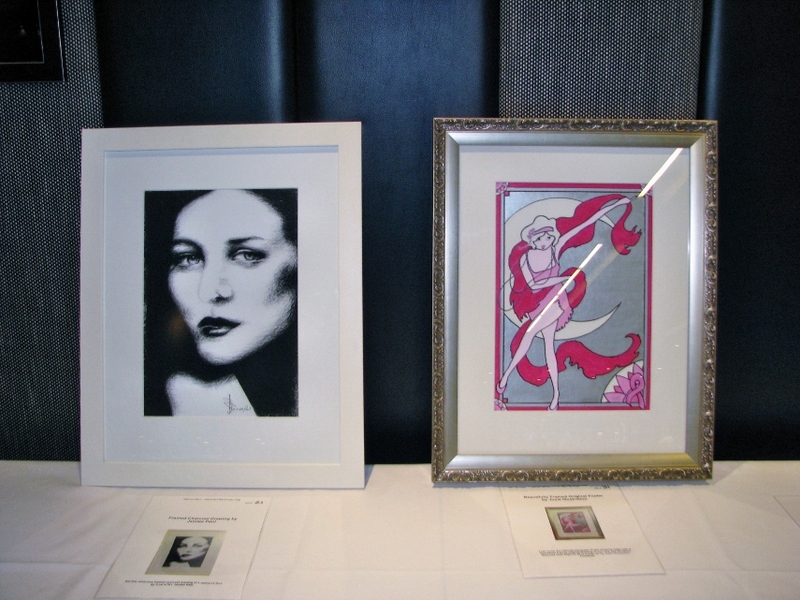 This year the ladies gathered in the newly renovated Showroom of the Dee Why RSL, for a 1920's Glam themed event. The ladies, who all looked absolutely fabulous, were entertained by Alfredo Malabello, Amber Lawrence and The Stage Artz Theatre Company amongst the Silent Auction, Heads & Tails Game, Raffles, Prizes and surprises. 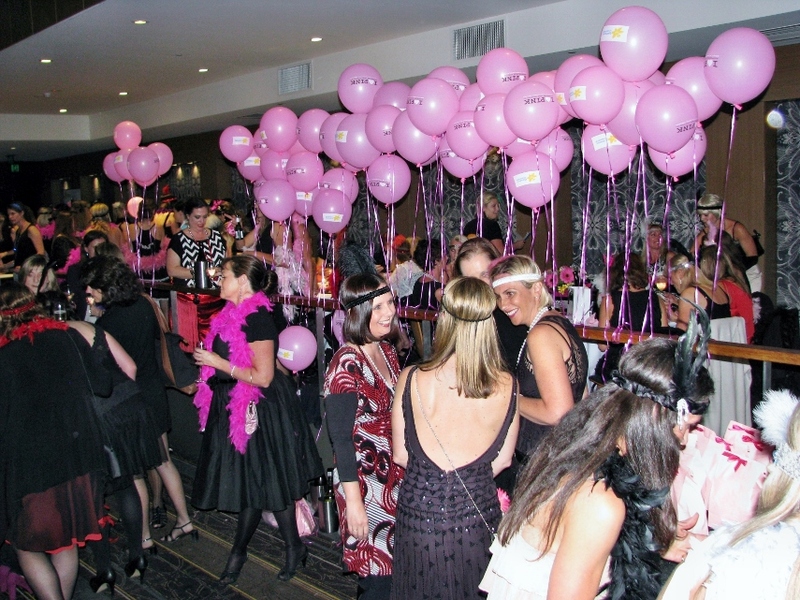 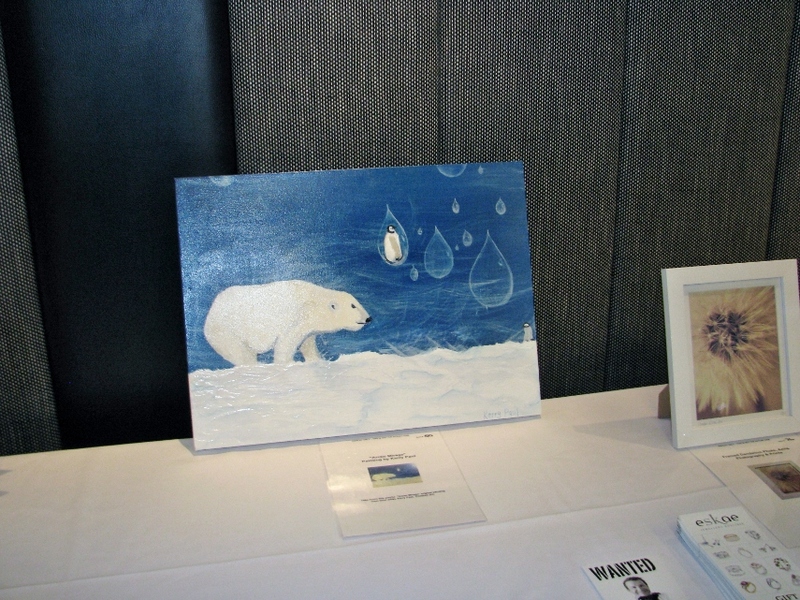 It was an amazing night and heaps of FUN, all for a great cause. 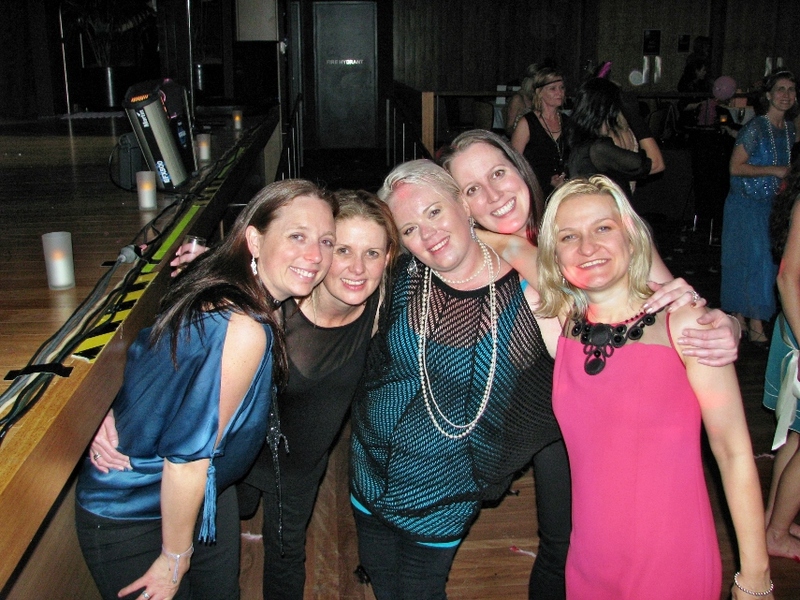 I am not going to go on, except to say that these ladies are fantastic! 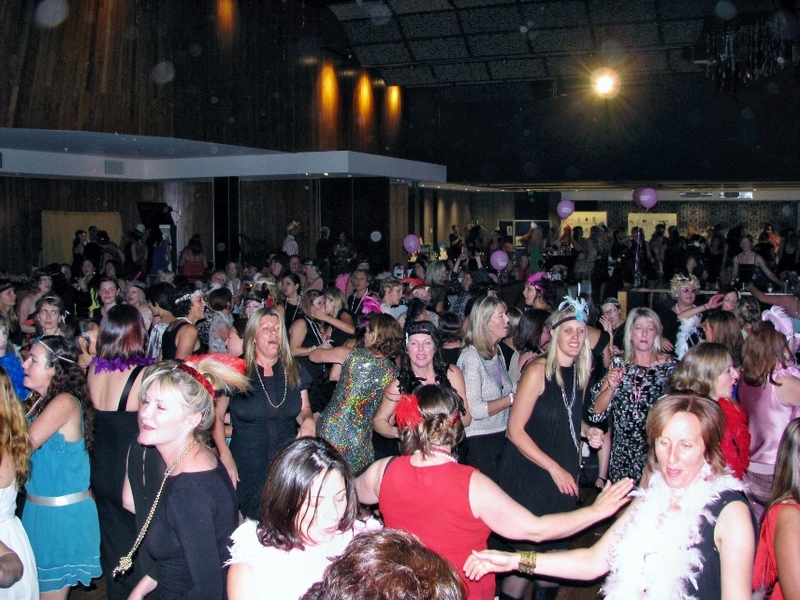 They know how to party and enjoy themselves, yet be extremely generous at the same time. The total amount raised is still being finalised, but I will be sure to update this post once the figure is available. 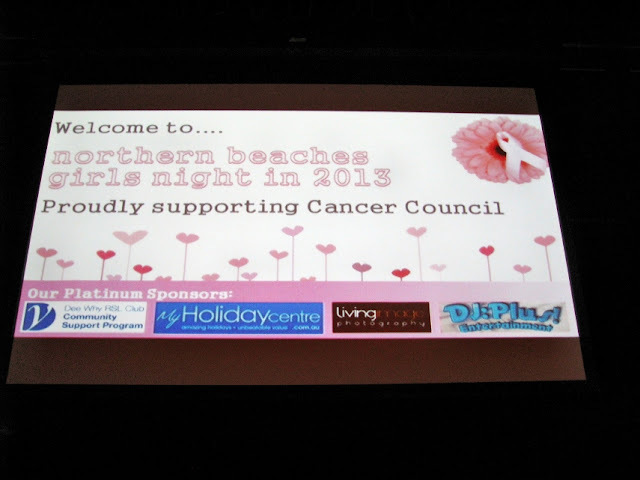 I hope you enjoy the photographic and videographic summary of this fabulous Event from which the proceeds will help many Cancer sufferers. 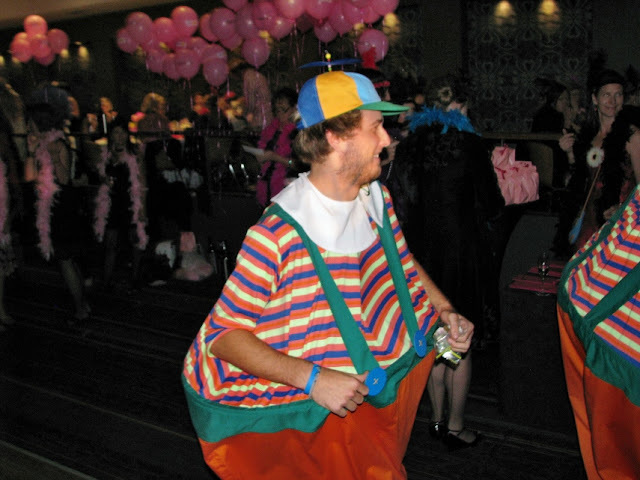 Please feel free to leave any comment should you feel inclined. 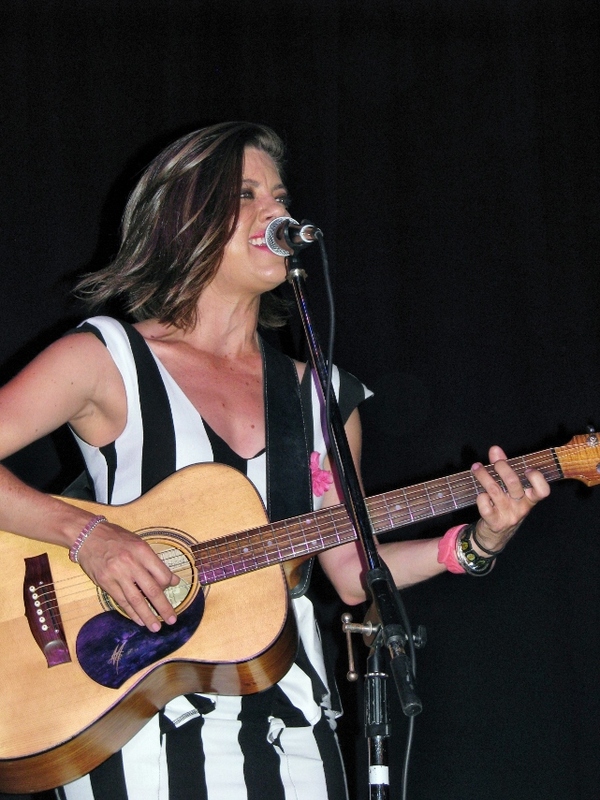 The lovely and talented Amber Lawrence performing fpr the second consecutive year. The reason the Northern Beaches Girls Night In actually comes together - Kirsty Gardner, Leah Steele, Hassia Dumoulin, Kate McGrath, Freya Lundgren, Jen Moss Drysdale and Bree Crawford. 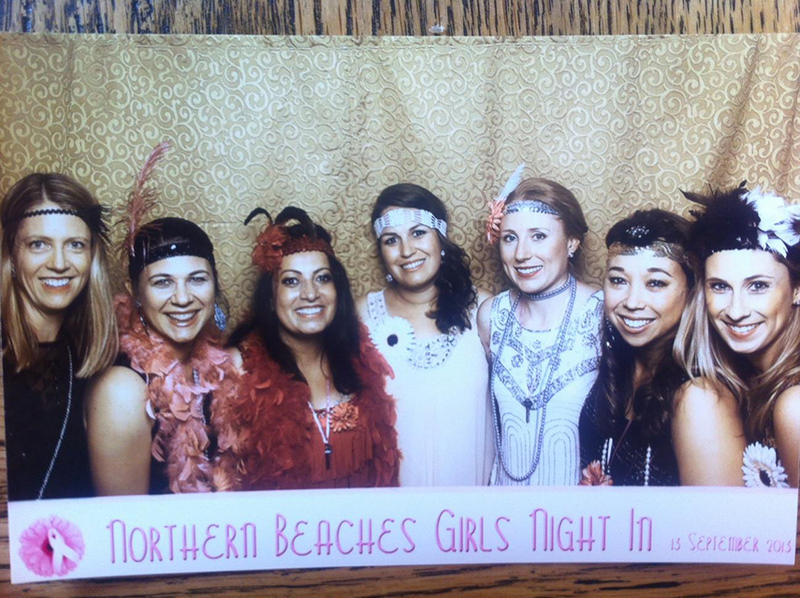 Not only beautiful ladies, but they also all have beautiful hearts! 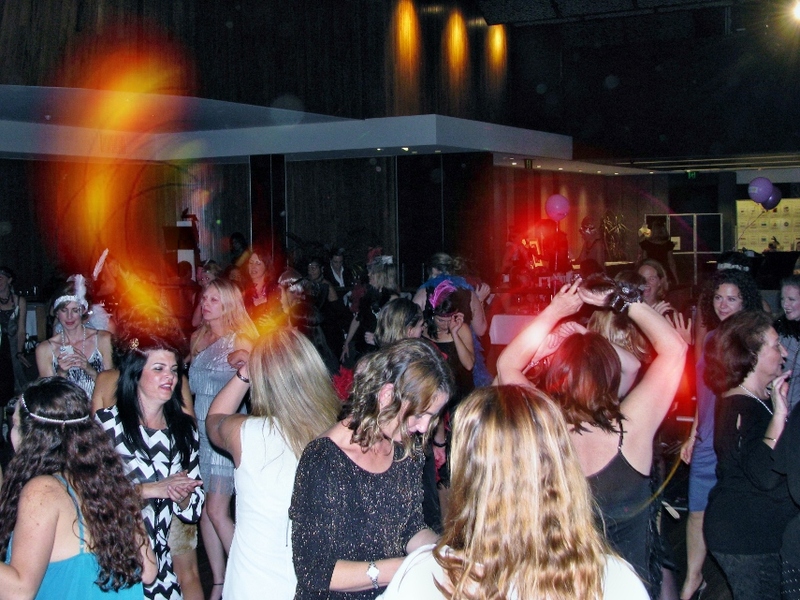 DJ:Plus! Entertainment provides elegant, distinctive, fun, unique and entertaining celebrations for discerning wedding and corporate clients who want more than "just music" for their event. 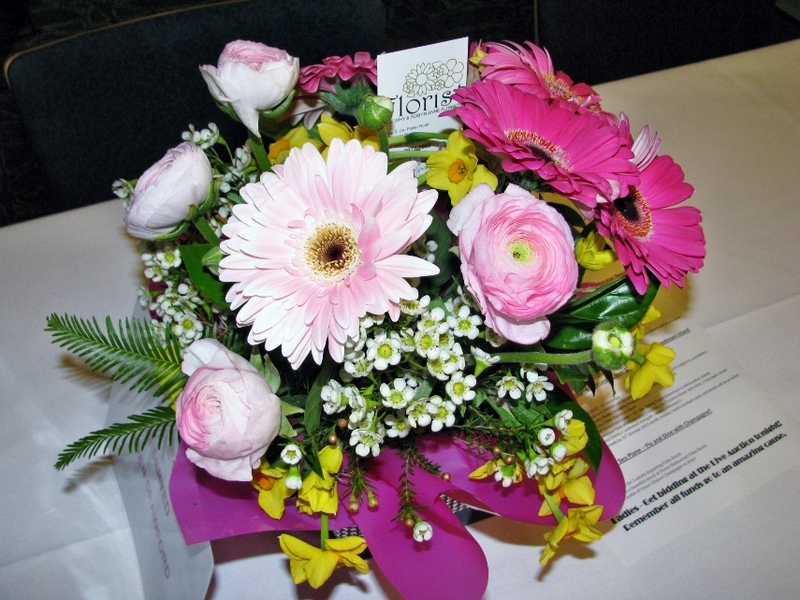 Servicing Sydney, Bowral / Southern Highlands, Katoomba / Blue Mountains, Wollongong and other areas by arrangement. DJ:Plus! 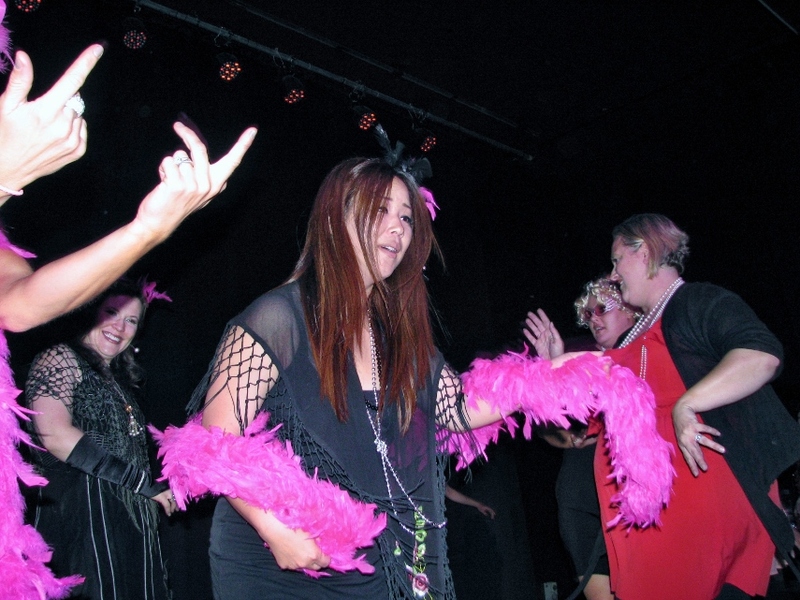 Entertainment's philosophy focuses on quality NOT quantity. 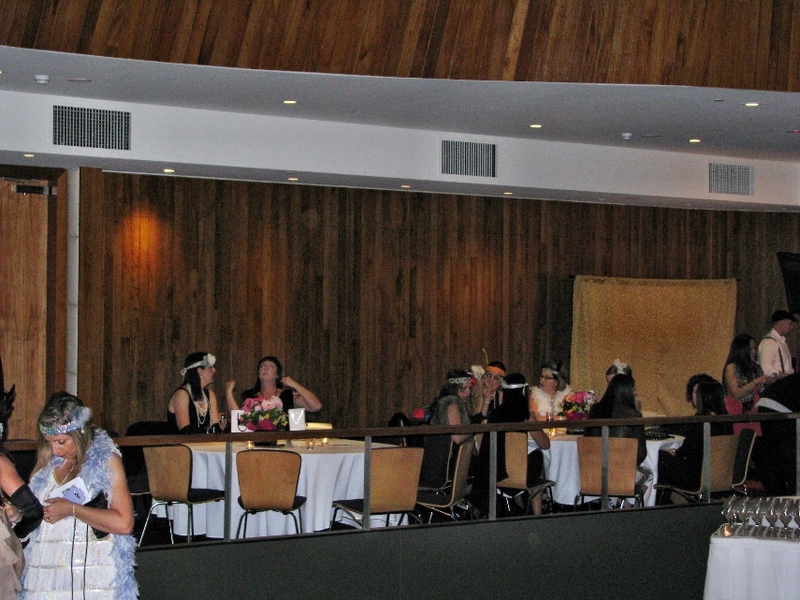 Your wedding is unique and should be treated as such. In order to assure that each wedding is given the thorough attention it deserves, DJ:Plus! 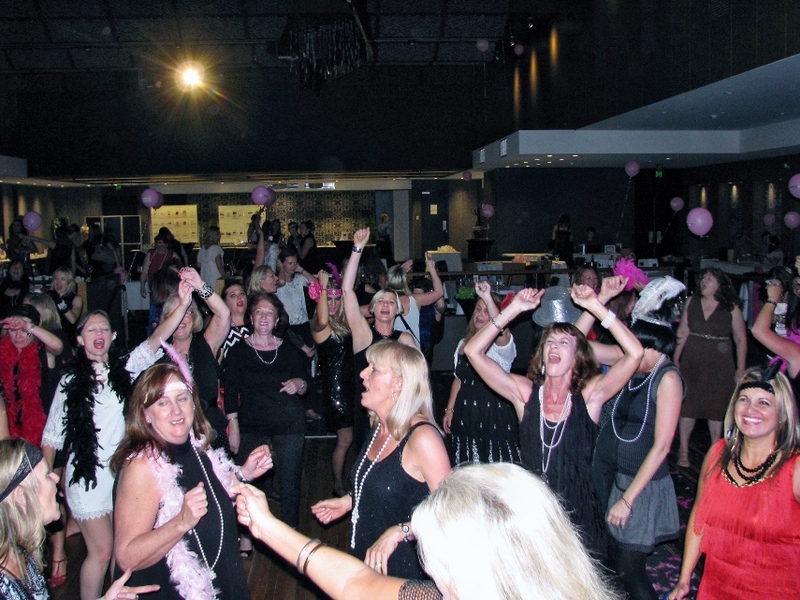 Entertainment limits the amount of clients it takes to no more than around 40 per year. 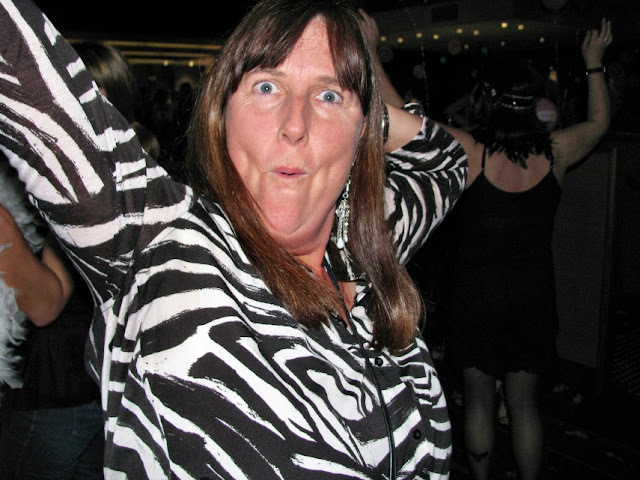 DJ:Plus! Entertainment has absolutely no business connections with any supplier listed or linked to on this blog. Supplier details are either provided as associated relevant information in regards to each listed past event or as a resource for Clients and Blog visitors . 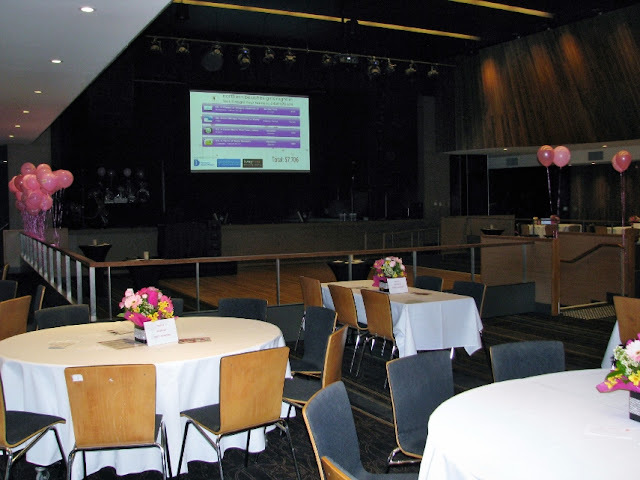 These suppliers were either selected by the respective client noted in the section in which the suppliers are listed or featured to assist in planning. You will appreciate that DJ:Plus! Entertainment cannot guarantee individual supplier performance or services in any way. 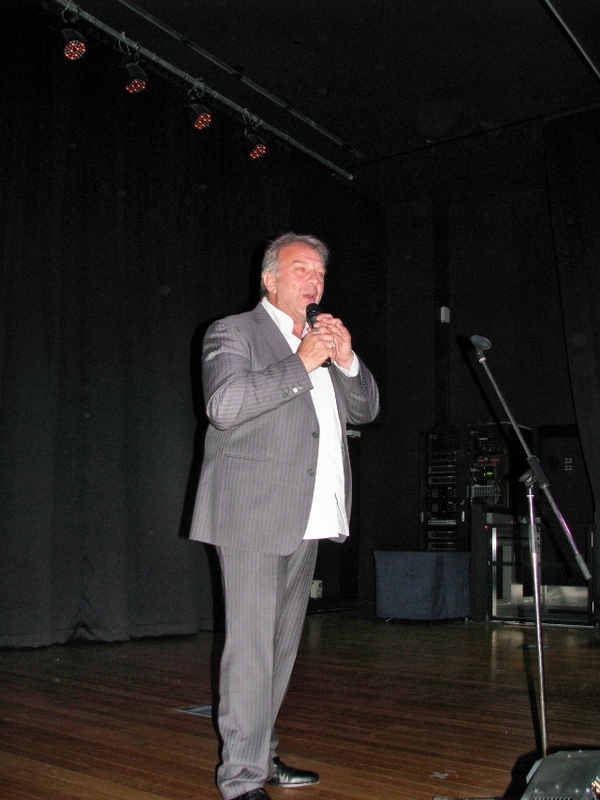 Copyright © DJ:Plus! Entertainment All Rights Reserved. 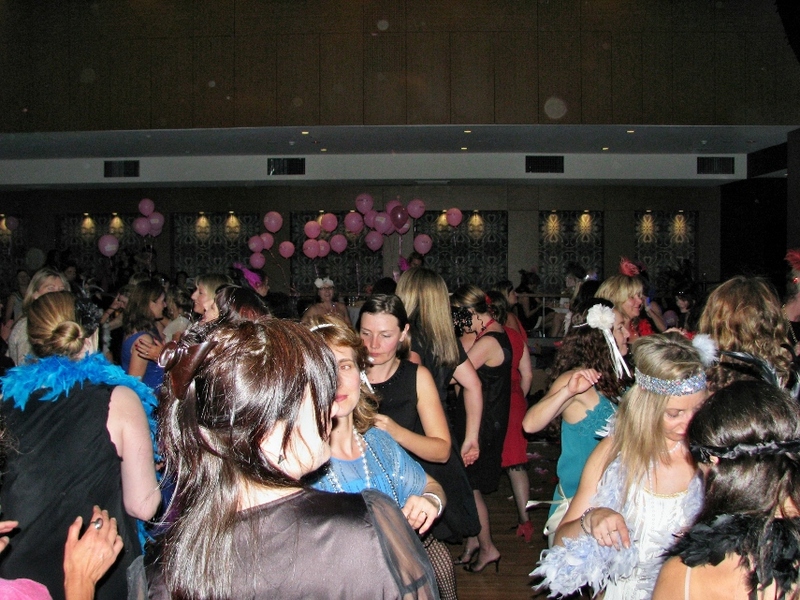 2007 - 2018.